*Double click on Title to open file if needed. 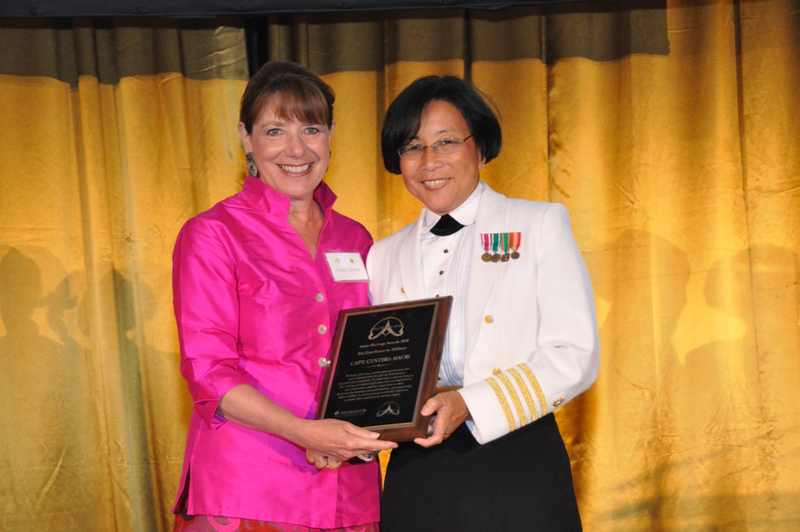 ­­­A wonderful article about the Seventh Annual Asian Heritage Award on board of the USS Midway by Gloria Tierney, Senior Contributing Writer to the Asia Media, the Journal of Culture and Commerce, and Board Member of the Asian Heritage Society. 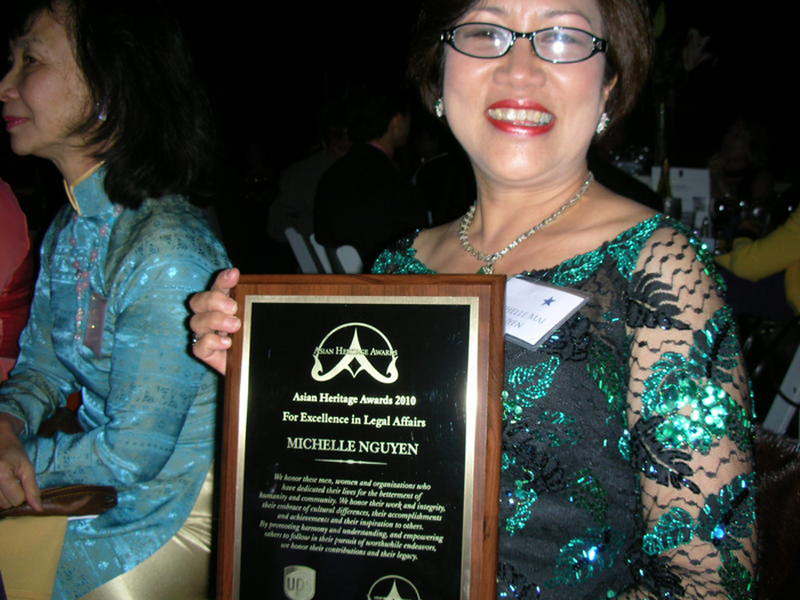 My wife attorney , pharmacist Michelle Mai Nguyen won the Asian Heritage award in the legal affairs category. 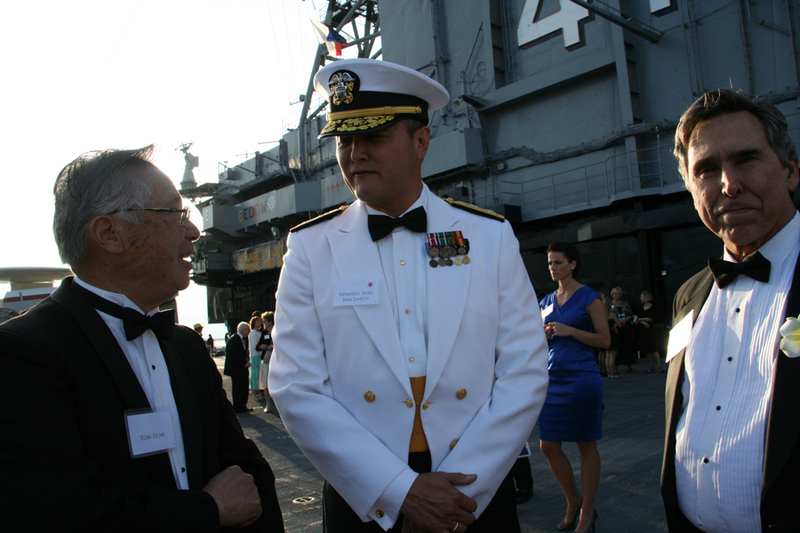 ­­­ The trip to San Diego from Washington for Navy Capt. Cynthia Macri last weekend was full of surprises. A little more than half-way there, an elderly man on her flight took ill and collapsed. 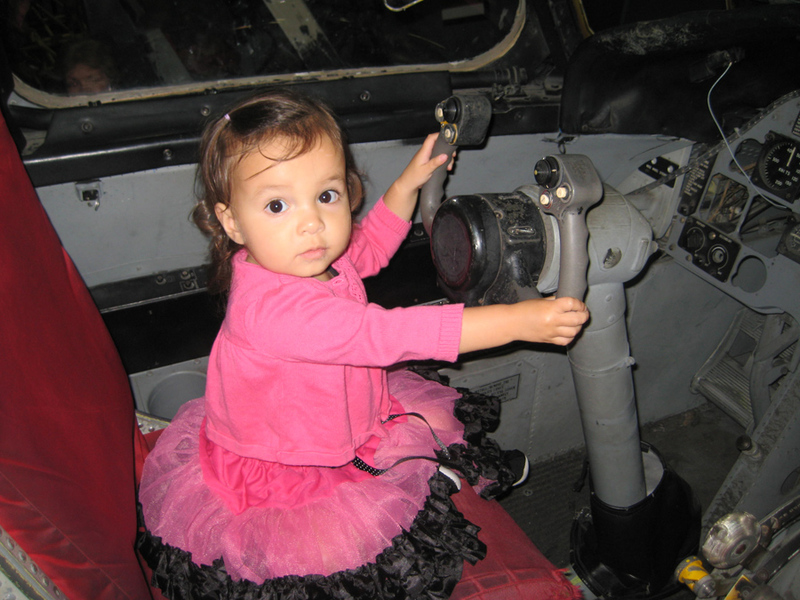 A physician, Macri attended the man as best she could, then asked the captain of the flight to divert the plane to Omaha, so the man could be taken to the hospital. Dr. Lilly Cheng, who followed Macri, in accepting the Humanitarian Outreach Award for her 40 years of global work on cross-cultural communication and speech pathology, told the audience that “speech-language communication” is a human right. That award was presented by Navy Rear Admiral Ron MacLaren, who said, “I am honored to be able to give back to my (Korean) roots and to honor those who have achieved so much.” The U.S. Navy was among the major sponsors of the Awards. Other major sponsors included the Avery-Tsui Foundation, Ford Motor Company Fund, Barona Resort and Casino and Phamatech of San Diego. Indeed, the night was as diverse as any could be – from five-month-old Rhys Dann, half Thai and half Welsh, who came in a tux, with his parents, to show support for grandma Rosalynn Carmen, co-founder of the Awards, to octogenarian and retired chief boatswain’s mate Richard Kong, who, proudly in uniform, rendered the Pledge of Allegiance. Before that, a Junior Navy ROTC color guard comprised of Asian American high school students from Troy High School in Fullerton, California, presented the colors. A large part of the audience had come to honor Hom, 83, who received the major award for breaking ground more than a generation ago as the first Asian American in San Diego to hold public office. Hom was elected to the San Diego City Council and later became only the third member of the California Assembly. 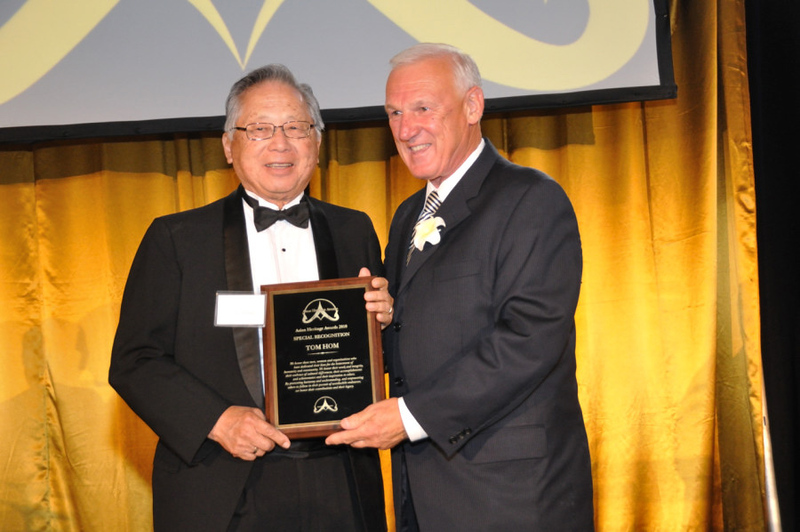 In presenting him the honor, San Diego County Supervisor Ron Roberts, honorary co-chair of the event, called Hom a “beloved friend and an inspiration to generations of Asian Americans.” Roberts also cited many of Hom’s accomplishments, including his involvement in downtown development and helping to expand the city’s role as a professional sports town, with the addition of a stadium in Mission Valley that housed the San Diego Padres and San Diego Chargers. 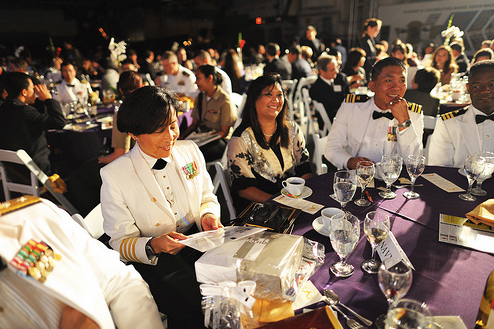 While Hom is a third generation Asian American, several of the honorees came to this country as immigrants and included David Du (Business Enterprise), who escaped from Vietnam to head several companies in San Diego; Michelle Nguyen (Legal Affairs), who, herself, escaped the fall of Saigon; Dr. Charles Liu (Health and Medicine), who was born in Taiwan and reared in Thailand, and Giovanna Pang-Garcia, who left her native Hong Kong when she was 16 years old to pursue the American Dream and found it. By the age of 40, she had founded a multi-million-dollar computer company, sold it and wrote the book “Why Chinese Women Are Not Broke,” which earned her the Seventh Annual Asian Heritage Award for Art and Literature. Other winners included Jonathan Ton, Education; Kathy David, Entrepreneurship; Cecil Magpuri, Innovation and Technology; Lani Lutar, Government; Aurora Cudal, Media and Film; the Confucius Institute at SDSU, Cultural Preservation, Felix Fan, Performing Arts; Margaret Iwanaga-Penrose, Community Service, and Holly Fujie, who tied in the category of Legal Affairs. The only other tie occurred in 2006, in Education. The Community Service honor was presented by Sally Wong-Avery, who chaired the event and sponsored the category through her Avery-Tsui Foundation. Other sponsors included Cox Communications, The Chinese Consolidated Benevolent Association, DDH Enterprise Inc., United Parcel Service, Julia Cheng Wealth Management and Gingi. Miss Asian America Amy Chanphavong with Rosalynn Carmen and Leonard Novarro. Michelle Nguyen with her award. Honorees in each category were selected by votes cast through an on-line ballot, emails and the newspaper ASIA, The Journal of Culture & Commerce, co-sponsor of the Awards and Show. Habitat for Humanity International was also awarded the first ever Social Responsibility Award for demonstrating diversity, social awareness and global and environmental concern. The award was presented by Damrong Kraikruan, consul general for Thailand, who told the audience that Habitat’s “concern for the environment runs through everything they do, just as it does in my country.” Habitat has built or rehabilitated more than 75,000 homes serving 350,000 people throughout Asia, including Thailand. The ceremony was also attended by Chung-chen Kung, director general of the Taipei Economic and Cultural Office in Los Angeles, who welcomed those in attendance after being introduced by Wong-Avery at the beginning of the program. The program was emceed by award-winning television news personalities Marcella Lee and Robert Santos., who kept everything moving at a brisk clip, ending on time, an accomplishment almost unheard of at an awards banquet. 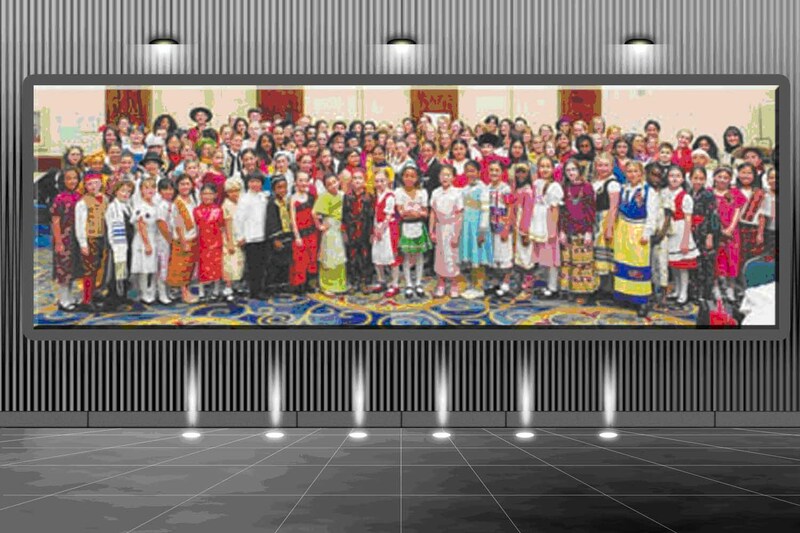 Leonard Novarro, vice president of The Asian Heritage Society and co-founder of the Awards, cited not only the variety of ethnicities of attendees and award recipients, but also the wide range of age. “This event affirms what the Asian Heritage Society is all about – leadership, legacy and inclusiveness,” he said. The ceremony included entertainment by Japanese pop star Masumi, the Thai Classical Ballet and the Silk Road Dancers from San Diego, whil Amy Chanphavong, Miss Asian America, welcomed guests and assisted on stage. 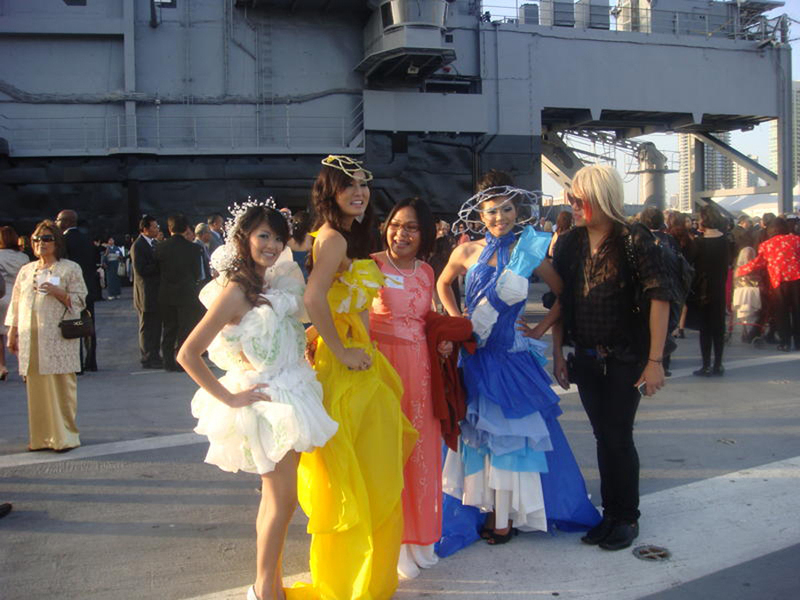 On deck, during the reception, Kenneth Nguyen, a local designer and hair stylist, showed off some of his avant garde fashions of snappy cocktail dresses made from trash bags, as he put it –“good for the environment.” Naruwan Taiko, a traditional drum group, called guests to dinner. The Seventh Annual Asian Heritage Awards was produced by The Asian Heritage Society. ← SẮC MẦU CẦU VỒNG PERU (phần 2 và hết).